The Serve for New Zealand (SFNZ) campaign began in 2016 with the purpose of encouraging New Zealanders to donate their time to the community on or before Anzac Day. With a strong connection to service and volunteering the SVA and UC wanted to find a way to honour the Anzac spirit while also giving back to the community. The SVA and UC in collaboration with the RSA came up with the SFNZ campaign. The campaign centres around furthering the values and spirit of the Anzacs by encouraging volunteers to partake in either activities of their choosing or organised activities. In April 2017 New Zealanders from all around the country participated in volunteer projects. The SFNZ campaign has gone from strength to strength with 2,691 individuals pledging 9,510 hours and over 150,000 people connecting and engaging on social media. Over 10 projects and multiple schools around the country pledged their time and volunteered within their communities in 2017. Find out more information at www.servefor.nz and pledge your hours, or check out our facebook for project ideas. 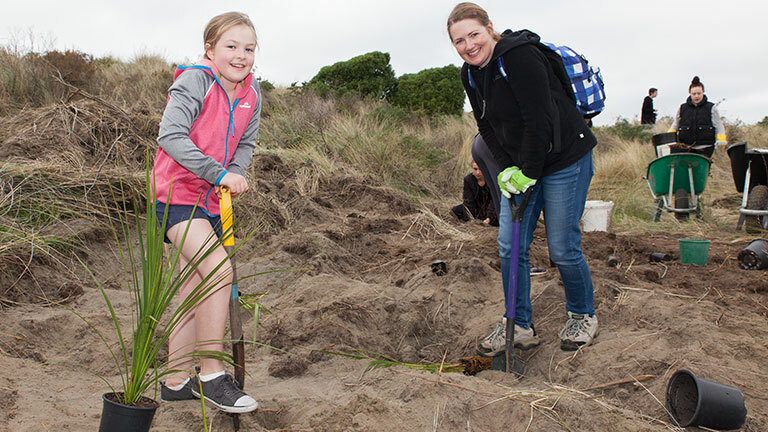 Use the hashtag #servefornz or tag @servefornz to share your project with us. You can also find us on instagram and twitter.